I have never owned a bottle of Chanel No. 5, nor have I ever worn the perfume. 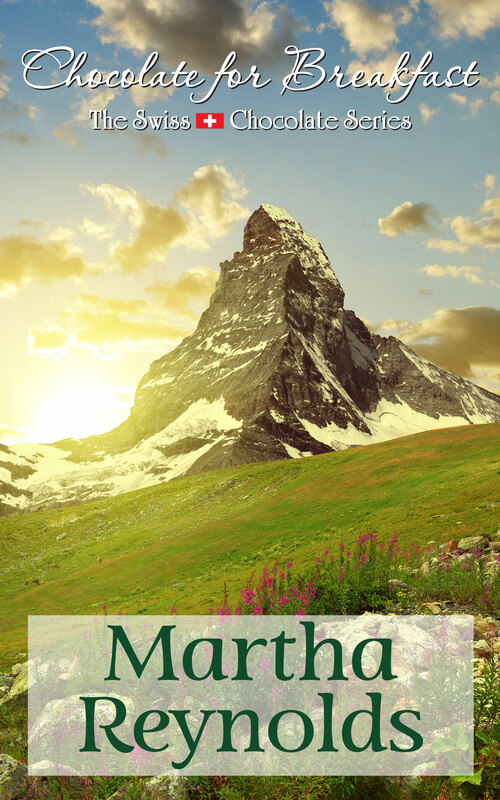 It just didn’t seem to appeal to me; maybe, as a young woman, it seemed like an old lady’s perfume, and there were newer, more trendy scents from which to choose. As I grew older, I stayed with one or two favorites and rarely tried something new. But Chanel No. 5 is considered to be the world’s best-selling perfume. So this afternoon I was leafing through a fashion magazine, with little interest, when I came across an advertisement for Chanel No. 5, with one of those free sample inside. On a whim, I peeled off the sample and rubbed it on the inside of my right wrist. Instantly I was transported back in time. I was maybe seven or eight years old, young enough to need a babysitter. We were living in our white house, the one set back from the highway where the big trucks passed all day long. My mother, who almost never wore perfume or makeup, was going out with my dad – dinner? bridge at someone’s house? I don’t know, and I can’t see her dress, but I can smell her. The smell of my mom when she was going out with Dad for the evening. When we had a babysitter. Chanel No. 5. Scent can do that to you. Something so powerful as to take you into the past, decades ago, and still evoke the kind of memory that may be comforting, sweet, or even tragic. There was a shampoo, Revlon’s Aquamarine I think, and it was the shampoo I used during my sophomore year at college. After a devastating fire in one of the dorms took the lives of ten young college students just days before Christmas in 1978, I couldn’t use that shampoo again, because it reminded me of the fire. Recently, on a fine October afternoon, I was driving through some of the prettiest parts of Rhode Island, along the Connecticut border. My car window was down and the air was refreshing and brisk. Suddenly I smelled…….burning leaves. Now, each community in Rhode Island decides whether to allow open burning, and it’s usually only by permit. 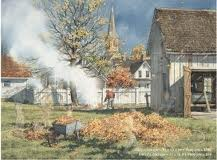 In the past, perhaps in a more responsible time, homeowners could burn the leaves they’d raked up in their yard. My dad would rake them all into the corner of the big driveway, let us kids jump into them for a while, and then he burned them. Responsibly. With his children at a distance, watching the magic of flames. And the smell of burning leaves was one of the best – it was my dad.